The Dinorwic Slate Quarries are not everyones cup of tea, in fact many describe it as a marmite type of rock; You either love it or hate it. For the majority though its unique almost frictionless rock that requires tiny edges to allow climbers to ascend, coupled with the industrial wasteland feel, mean it is a popular climbing area. Even more so now that alongside the old designer danger of run-out slab there is a growing number of moderate sport routes to enjoy. This seemingly chalk and chess dichotomy of style have found themselves much easier bed fellows than one would expect. In part due to climbers appreciating the boldness of the 80s and letting modern climbers develop new areas. 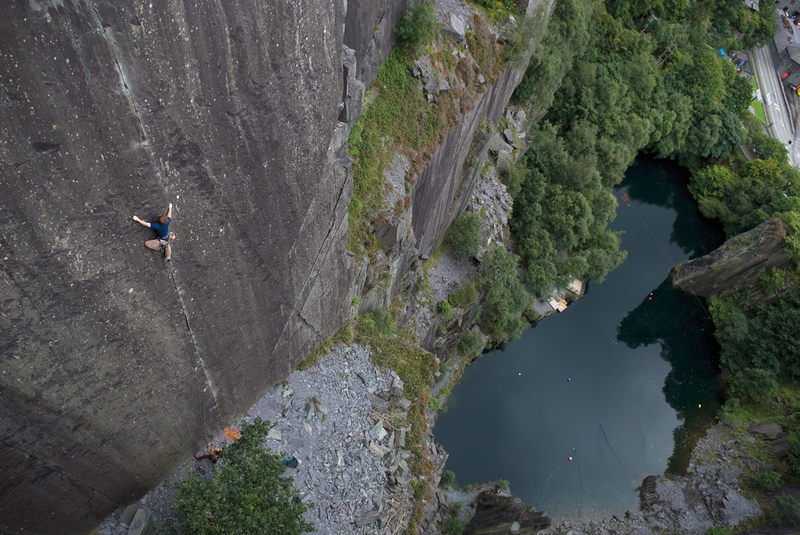 The area has benefited heavily from work from volunteers at the North Wales Bolt Fund, who with the support from climber like you can continue to ensure that the bolts and lower offs are in good shape for use. You Can Donate to the NWBF here.